Have you ever landed on a web page and a pop-up immediately blocks the web page content? Pop-ups are usually blocked on web browsers because they’re generally advertisements but in ResRequest, pop-ups are menus and entry screens because ResRequest works off a pop-up based web interface. If pop-ups are blocked on your browser, you might have been experiencing problems accessing some content or even the entire ResRequest system. Luckily you can enable pop-ups just for ResRequest and this blog will guide you through how to do this depending on your chosen browser. Below are the steps for the two browsers that we recommend you use when working in ResRequest: Chrome and Mozilla FireFox. Open Chrome and your homepage will load. Navigate to the top right hand menu icon, as shown below. Scroll down to the bottom of the Settings page, and click on the Show advanced settings link. Navigate through Advanced Settings and select the Privacy section, under which you will find the Content settings section. Click on ‘Content settings’ and scroll to the ‘Manage exceptions’ section. Here you can specify to exclude ResRequest from the pop-up blocker. Add ‘live.resrequest’ if you are working on an offline environment and ‘yourcompany.resrequest.com’ (replace “yourcompany” with your web hosted URL prefix i.e. nyatilodge.resrequest.com). 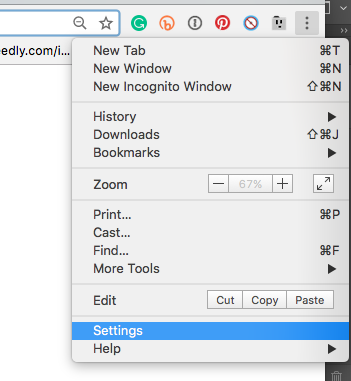 If you are using Mozilla FireFox, follow these steps to allow pop-ups from ResRequest. 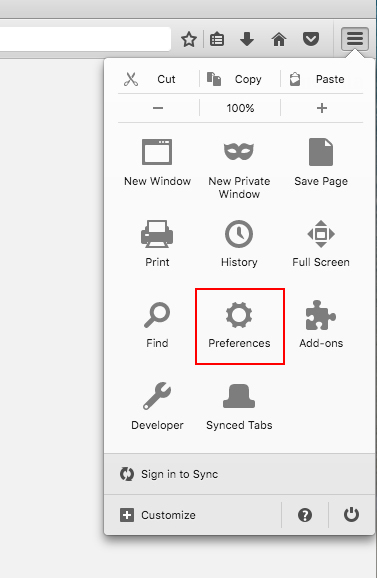 Open Mozilla FireFox and click the menu button in the top left corner of your homepage and choose Preferences. Select the Content panel and choose Pop-ups. Click on Exceptions and you can add your ResRequest site to the list of ‘allowed’ websites. Add ‘live.resrequest’ if you are working on an offline environment and ‘yourcompany.resrequest.com’ (replace “yourcompany” with your web hosted URL prefix i.e. nyatilodge.resrequest.com). 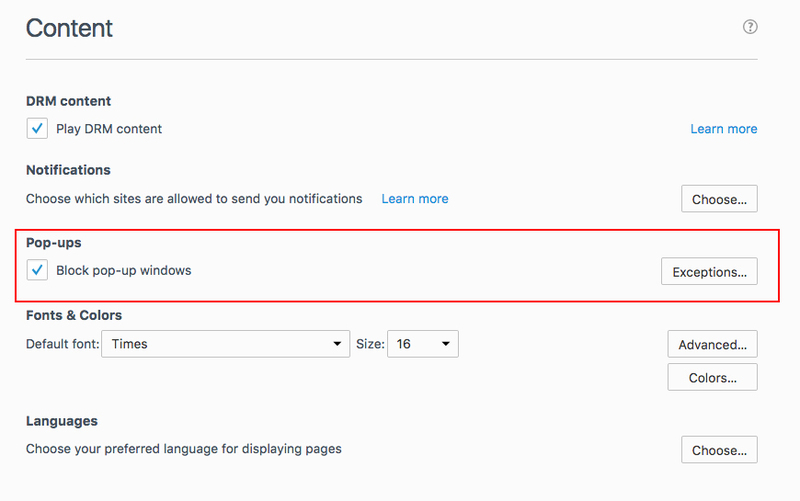 Following these steps will allow you to work on your ResRequest system and keep those annoying pop-up adverts away. The best of both worlds! If you have any further technical questions, please email support@resrequest.com.